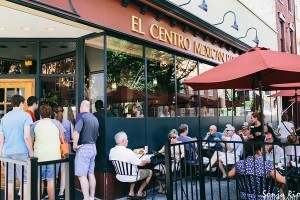 El Centro Classic Mexican Food and Drink is located in the center of Winchester on the Old Town Walking Mall at 1 N Loudoun. From our amazing homemade salsa to our mouthwatering Carnitas, you can taste the freshness and quality in every bite! Our menu is compiled with a variety of appetizers, classic Mexican dishes and delicious desserts. Not to mention, we also offer a great selection of ice cold beer and margaritas! Come in and relax in a comfortable and stylish restaurant or enjoy the nice weather and sit on the patio, either way it will be an honor to serve you!